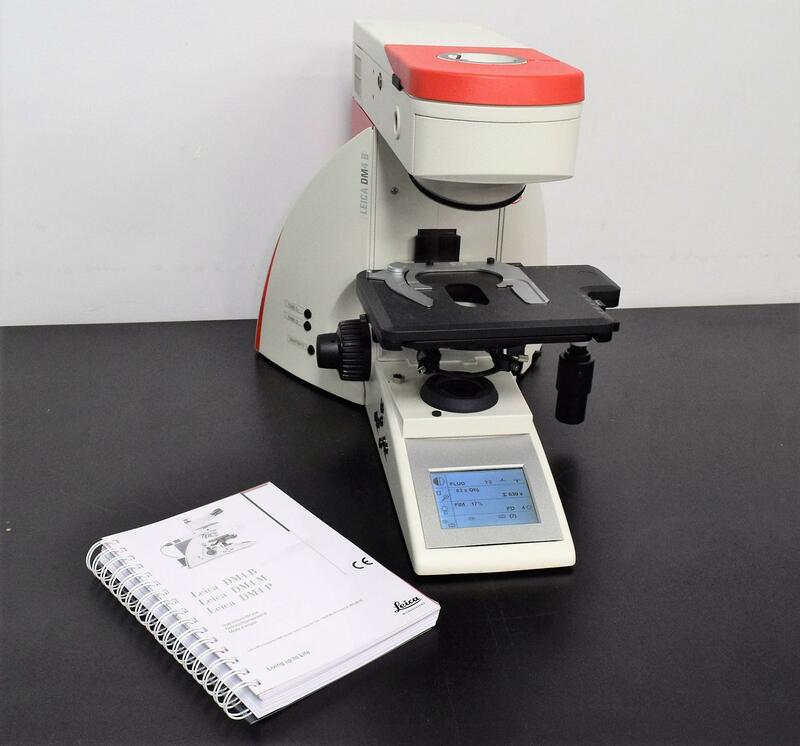 Leica DM4 B Biological Science Clinical Research Upright Microscope Base Unit . New Life Scientific, Inc.
With this basic microscope unit, you can expand it to what works in your lab. After adding the necessary objectives and camera of your choice this microscope automation does the work for you. It solves multi-step routines with the press of a button, makes you work life easier, saves time, and allows you to focus on your experiments, not on complex microscope settings. No software is included with this microscope that is needed to control the microscope or the camera. This is still a current model and serviced through Leica. Our technician was able to get an image with the software we have for a camera and that is pictured in the gallery. Ensuring that this is a good working microscope body when it was still part of a complete system the tech connected a camera to the microscope to let you see it is a working microscope. An image is shown in photograph two.